Those who know us, know that Nylatech is passionate about plastics – specifically cast nylon. What you may not know is that we’re also passionate about work-life balance, the environment and educational opportunities. At Nylatech, we value work-life balance and look for ways for our team to have a little fun. 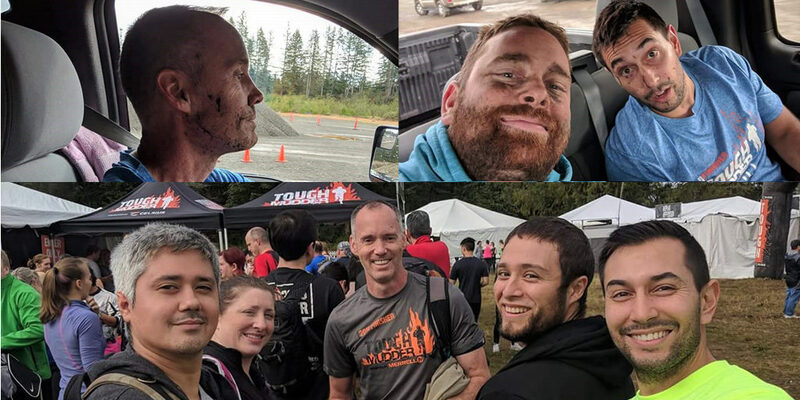 Recently, Nylatech sent a team to participate in the Tough Mudder competition near Seattle, WA. Tough Mudder is a 8-10 mile obstacle course where you and your team work together to conquer the mud-soaked obstacles to reach the finish line. As you can see from the pictures below, our team had a blast. We’re also environmental stewards. We know our industry often produces a lot of waste and pollution, so we’ve taken steps to minimize our impact on the environment. Nylatech is a IAPD (International Association of Plastics Distribution) Green Scene member, which means we’ve dedicated ourselves to performance plastics (plastics that are durable and are multi-use). We also have several recycling and conservation initiatives in our office and warehouses. Finally, we value on-the-job experience, but also encourage more formal skills and industry training. IAPD provides many training and educational events throughout the year and we’re happy to support our team to take advantage of these opportunities for personal and professional growth. Life shouldn’t be all work and no play. With this in mind, we enjoy getting out in the community for team building, educational enrichment, and to doing our part to make the world a better, cleaner place.